This Brand New Book by Andy McKee & Mark Gatter gives you the tools you need to make the most out of every precious inch of covered space throughout the whole year. It gives an overview of activity through the seasons and includes a chapter written specifically for newcomers to polytunnel growing. 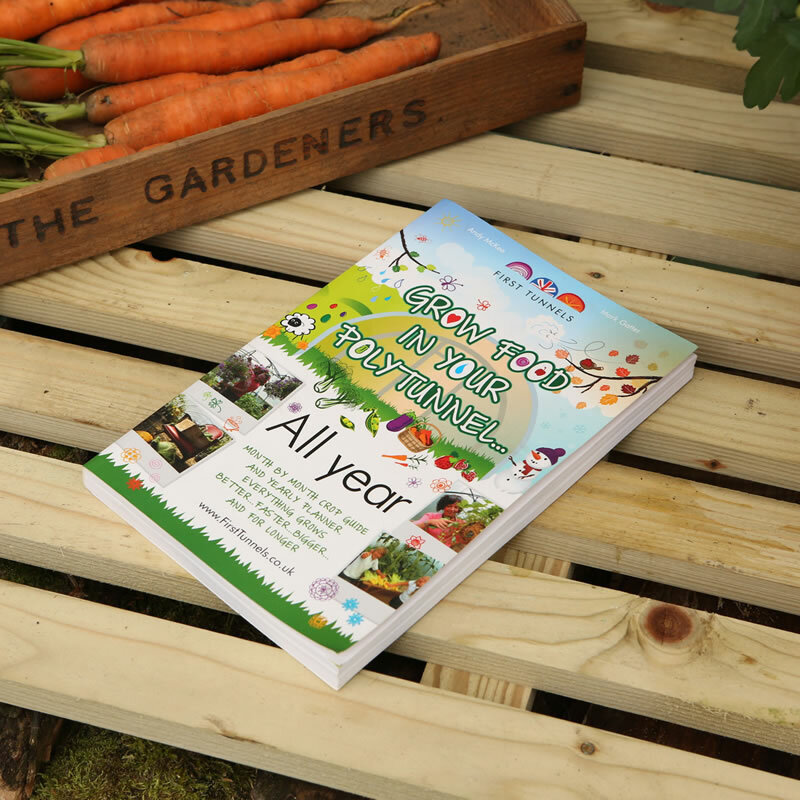 The book provides a detailed season-by-season growing guide including plants for the polytunnel, helping you plan for the hungry gap and dealing with pests. 192 page softback. This book and The Polytunnel Handbook are provided FREE in our Growing Pack with all Domestic and Commercial Polytunnels ordered from ourselves. This is a fantastic book that offers invaluable advice and is laid out in an easy to follow way. Loads of great tips and sound advice from the practicalities of growing to little permaculture ways of being.